San Francisco Neighborhoods | Cummings Moving Co.
San Francisco neighborhoods are as varied as our weather – And that is saying something! Living in San Francisco is an experience unlike any other urban experience in the United States. If you are new to town and have yet to check out the San Francisco neighborhoods, let this be your guide. 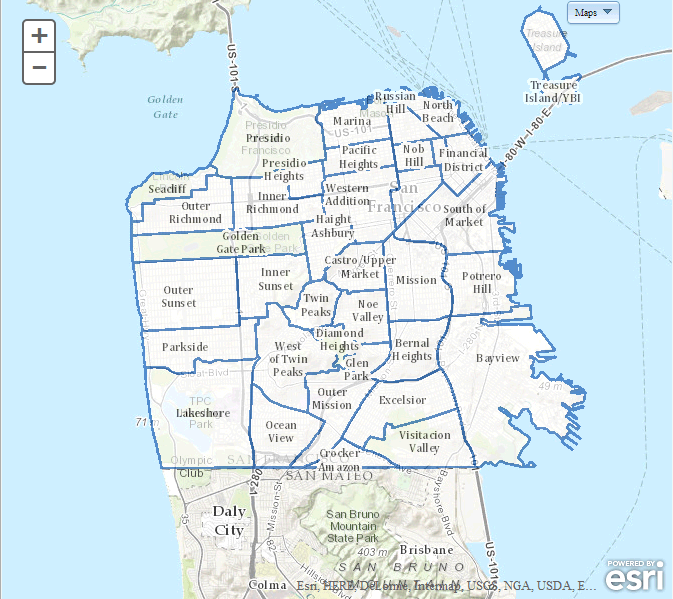 The Planning Department of the City & County of San Francisco has some great resources, including downloadable information on neighborhood groups and a great San Francisco Neighborhoods map; previewed here. We encourage you to visit them online. SCROLL for Descriptions of San Francisco Neighborhoods. Many folks moving to San Francisco may know some of the more well-known San Francisco neighborhoods, including Chinatown, SOMA, Haight-Ashbury, Castro and North Beach, where you will soon find out is not a beach at all! In order to help you learn more about all the San Francisco neighborhoods, we have compiled a list of links to these and many more. Links to more San Francisco neighborhoods can be found here. Moving to One of these San Francisco Neighborhoods? 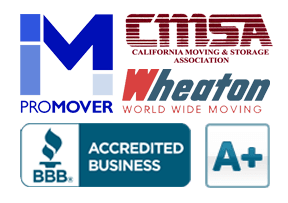 If you would like our help moving to one of these great neighborhoods around town and would like a Free Moving Quote, simply call Cummings Moving Company at 415-387-4000 or REQUEST A MOVING QUOTE.